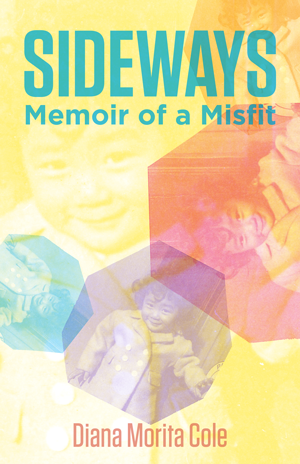 Join us for a presentation and reading by Diana Morita Cole—author of Sideways: Memoir of a Misfit. Her book is a deep and personal reflection about the economic and psychological trauma suffered by the Japanese Americans during WWII. Diana Morita Cole recounts her life, beginning from her birth in a Minidoka concentration camp in Idaho until she graduates from high school and leaves home. She provides vivid recollections of what the Japanese American internees were forced to overcome after their release from captivity and how they struggled to find acceptance as Americans. Along the way, she meets important people, like William M. Hohri and Iva Toguri, who will help shape her values and understanding of life. Diana Morita Cole is an educator, storyteller, and writer living in Nelson, British Columbia. An active member of her community, she has initiated projects to diminish racism and foster justice, peace, and environmental awareness. She was winner of the 2017 Richard Carver Award for Emerging Writers, sponsored by the Nelson & District Arts Council and the Elephant Mountain Literary Festival in Canada.